Make this simple weeknight pasta when you have a bounty of summer squash. With just 10 ingredients, it's fresh, bright & satisfying. You still have tons of zucchini right? Ok, I thought so, just checking. If you don’t (hi, Australia! ), you can use this recipe as a template for whatever vegetable you do have (ie. broccoli would be delicious here). 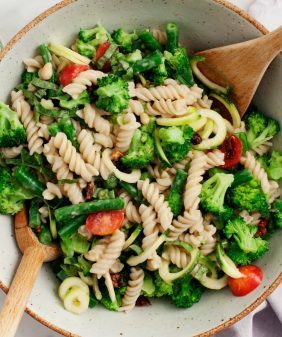 It’s a straight-forward simple pasta recipe – perfect for highlighting a special seasonal ingredient like summer squash. My zucchini and yellow squash were on the small side, so I sliced them into thin little coins and paired them with orecchiette pasta. I like how the shape of the summer squash and the shape of the pasta are somewhat similar. It makes for a nice “easy-to-get-it-all-on-your-fork” sort of texture. Rosemary isn’t super summery, but it’s what I had (my basil didn’t last through the heat). If you’ve been more successful with your herb-growing, feel free to switch it up – thyme, basil, or mint would all be great here. If you use leafy herbs, just be sure to add them closer to the end so they stay fresh and bright. Just a few minutes in the pan and you’re done. I folded in some creamy feta near the end – for a vegan option, add pesto instead. If you still have summer squash left after you make this pasta, try this zucchini bread, this pasta salad, this baked zucchini, or this pizza next. 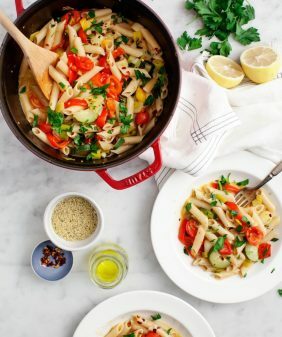 This lemony summer squash pasta is a great easy summer meal! If you don't have summer squash on hand, another seasonal vegetable would be equally delicious. Thinly slice squash, about ⅛ inch thick (on a mandoline if you have one). Lay squash slices on a towel and pat dry. Cook pasta in salted boiling water until al dente (about 9 minutes). In a large skillet heat oil over medium-low heat. Add the garlic and rosemary. Stir until fragrant, then add the sliced squash, salt and pepper. Stir, then let the squash cook on each side until lightly browned. Add a big squeeze of lemon, stir, then add chopped leafy greens. Stir again. Cook greens until they're just beginning to wilt, then add in the pasta along with a bit of starchy pasta water. Stir in feta, capers and red pepper flakes. Taste and adjust seasonings - add shaved Parmesan cheese, more lemon, and a little bit more olive oil if you like. Vegan option: skip the cheese and add dollops of pesto toward the end. For a richer pasta, use 1T olive oil and 1T butter at the beginning. Feel free to use different herbs - if you use leafy ones (basil, tarragon), add them at the end. feta and caper pair so well together – this is great for summer. one of my favorite combos! This is perfect…I have SO much zucchini! 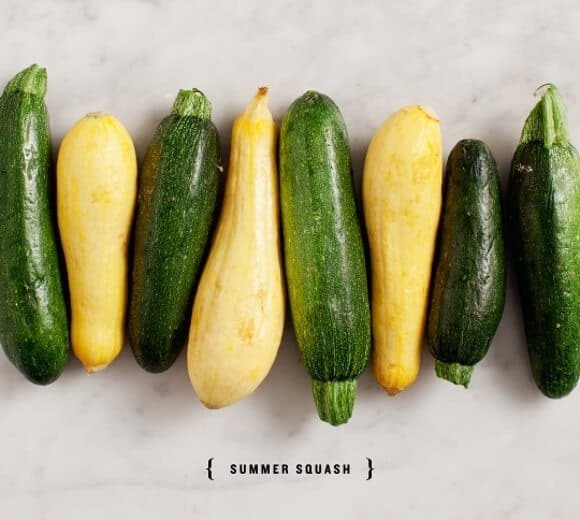 i was gifted a summer squash literally the size of a small child recently….i will be trying this! 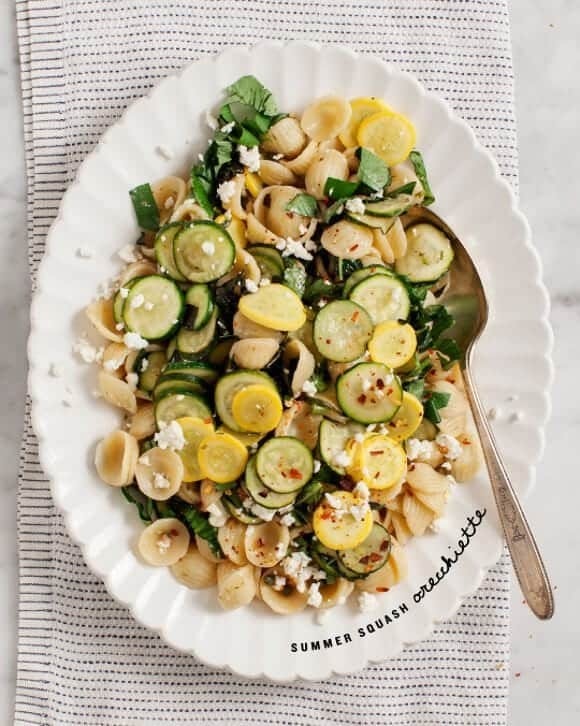 Oh trust me I have toooons of zucchini 🙂 This looks gorgeous and orecchiette is a favorite in my house! Oy, I now want this for dinner. This sounds so yummy, and fresh and summery – and the perfect recipe for my monster zucchini. Thank you! I was just wondering what to do with all my leftover zucchini! Thanks for this awesome recipe. Although I don’t eat a ton of pasta, this looks beautiful! You can never have too much zucchini and I love the idea of adding pesto to the mix! 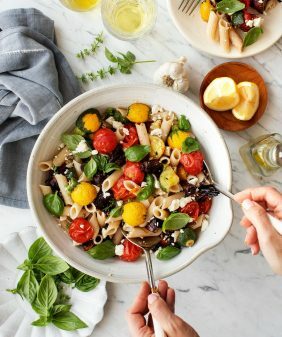 The absolute perfect summer pasta! Love this recipe! We’ve got SO many zucchini’s in our garden. So simple, easy and fresh. Can’t wait to make this! 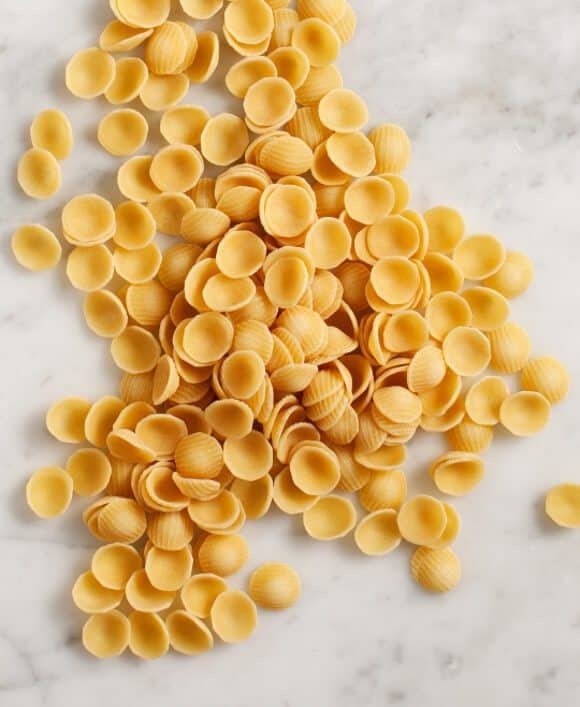 I love orecchiette! It’s one of my favorite pasta shapes. 🙂 This looks delicious! I’ll definitely make it the next time I buy orecchiette. I love everything about this pasta. Yes there’s still a ton of zucchini around here and I am definitely going to make this before summer is over. This looks lovely! And I just happen to have more zucchini than I know what to do with! I’ve never had orecchiette pasta! I must give it a try! perfect for todays hot weather in Athens! i just had squash for the very first time and absolutely loved it. 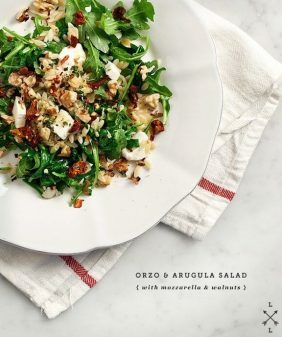 definitely going to make this recipe as soon as possible, sounds delicious! Where is your beautiful serving platter/plate from? It is lovely! I made this pasta when we met friends for a long weekend getaway last weekend and it was a hit. Love the simple but full-on flavors in this…this recipe is a keeper! “There aree deep-rooted reasons why some people fail with diets. may alswo bears burning pain in legs, feet, arms and hands. This is mouth-watering, will definitely try to do this recipe before summer ends ! Ha, yellow starch – love it :). Glad your family liked it! I love this combo – had to substitute GF pasta but the feta, capers and lemon together was so good. Thank you for your beautiful blog! I don’t usually comment and I can’t even remember how I found this recipe. I will say – thank you, it was wonderful and will soon be a summertime staple in my he. My sons are polishing off whatever’s left out there as I type. Wouldn’t change a thing. The added lemon and parm at the end, coupled with a little crushed reds and peppers made for an impressive presentation. Wow! I don’t usually comment and I can’t even remember how I found this recipe. I will say – thank you, it was wonderful and will soon be a summertime staple in my home. My sons are polishing off whatever’s left out there as I type. Wouldn’t change a thing. The added lemon and parm at the end, coupled with a little crushed reds and pepper made for an impressive presentation. Wow! 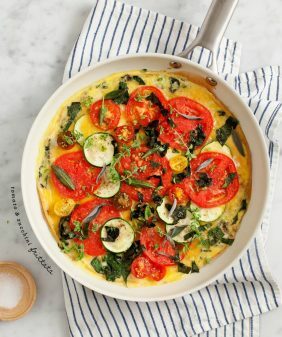 I really love this recipe but it is winter right now yet I want to make this dish.What can I substitue for the summer squash? These 3 recipes are similar in their basic concept… Hope that helps! Ha, I love that :). Glad you’ve both been enjoying the recipes! 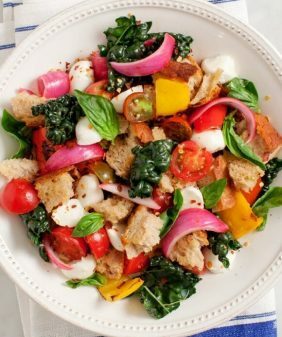 What do you think about doing this as a brown rice salad instead of with pasta? So good especially considering how very simple it is. A great late summer dish.